The politics and terrors of biotech, human engineering, and brain science are highlighted in this selection of short stories with Michael Blumlein’s signature mix of fantasy, science fiction, horror, and wicked humor. 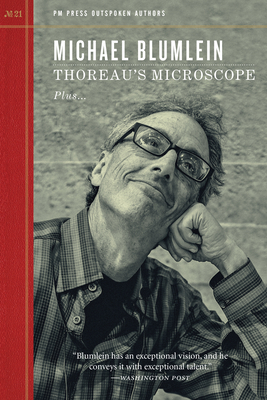 The title piece, “Thoreau’s Microscope,” is a stunning mix of hypothesis and history, in which the author inhabits Thoreau’s last days to explore the politics of impersonal science and personal liberation—a journey as illuminating as it is disturbing. Michael Blumlein is a medical doctor and a respected SF writer, whose novels and stories have introduced new levels of both horror and wonder into the fiction of scientific speculation. His work as a cutting-edge medical researcher and internist at San Francisco’s UCSF Medical Center informs his acclaimed stories and novels as they explore what it means to be truly—if only temporarily—human.